“Getting around” looks a bit different than it did 10 years ago. From Uber and car subscriptions to bicyclists, motorcyclists, and pedestrians, people are getting around in different ways, placing diverse—and stressful—conditions on today’s roads. The number of motorcyclists and cyclists in the U.S. is growing. According to The League of American Bicyclists, between 2000 and 2013, bike commuting grew by 65%. And the Motorcycle Industry Council reported that since 2000, the number of total motorcycle registrations nearly doubled to 8.4 million in 2014. But with more riders on the road, there's an increased likelihood of collisions among drivers, bikers, and pedestrians. And because of the lack of protection riders and pedestrians have in comparison to drivers of vehicles, many of these crashes are deadly. 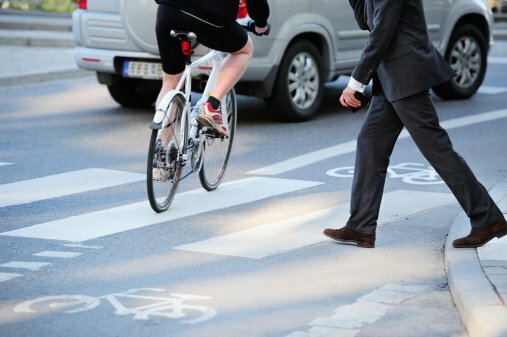 So how can walkers, drivers, and riders safely share the road? For drivers, there seems to be a lack of acknowledgment, or awareness, that people who aren't in cars will be on the road. So, unless drivers are in a setting where pedestrians are expected—like in a downtown environment, for example—drivers are likely driving at high speeds, e.g., 50 mph. This means they’re likely not anticipating cyclists—but they should. "A driver should look beyond the roadway, such as on sidewalks. Expect people outside of vehicles to be around you," advised Seth LaJeunesse, Research Associate, UNC Highway Safety Research Center and the Pedestrian and Bicycle Information Center. He also noted that although there are posted speed limit signs on these faster roadways and highways, drivers don’t need to drive at that speed constantly. Being on the lookout for unexpected situations and individuals may mean that a slower speed is necessary. "[A car's speed] is the number one predictor of whether drivers can react in time and the actual physical impact of the crash if it happens," he said. A clue to stemming the tide of fatalities in car crashes is setting agreed upon expectations. What seems to be the pivotal factor for maintaining and improving roadway safety is a community's social norms, as this study on driver yielding examines. For example, if a community decides that it's good for drivers to yield to cyclists, then people will do it because is socially expected of them. And this is whether people are knowledgeable about the law or not. And this points to what LaJeunesse called a "social contract" that drivers, other motorists, and pedestrians need to have with each other—one based on courteousness. He explained how, in certain neighborhoods and towns, people know to generally look out for each other—it’s the social norm. Share the road. Provide cyclists and motorcyclists as much room as you can, especially when riders pass on the right-hand side. Check your blind spots often. 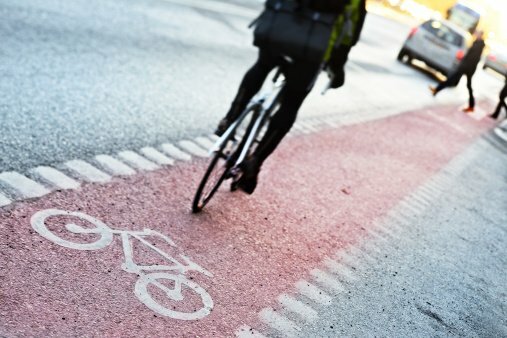 Bicyclists and motorcyclists can more nimbly weave in and out of traffic, which means you should stay on alert. Be extra cautious during inclement weather. Remember that riders are more exposed to the elements and bad road conditions which can cause them to fall more easily. So keep an eye out during bad weather or driving on rougher roads.